American Six Sheet 81" x 81"
Stanley Kubrick's ground-breaking science fiction epic redefined the term "special effects." 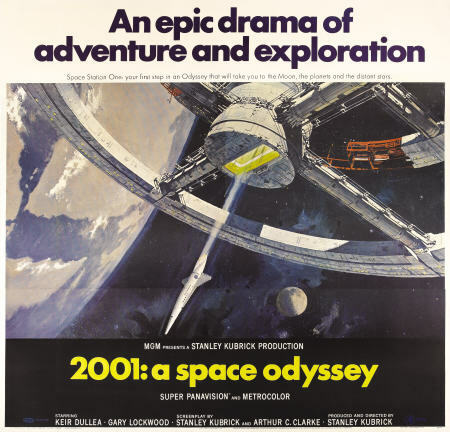 Based on Arthur C. Clarke's short story, "The Sentinel", the story follows two astronauts (Keir Dullea and Gary Lockwood) on their mission to Jupiter as they search for the source of an alien transmission in deep space. This poster has fold wear with separations at the cross folds and a small edge chip. Very Fine+.